Intereng Tech is a leader in power network test and measurement equipment. The company operates a worldwide sales and service agent network and is a privately owned German company. They design and manufacture smart instruments and systems for detecting, analysing and precisely pinpointing various cable faults in underground power cables. Intereng has Mastered and invented proprietary designs in HV pulsed power, fast data acquisition as well as evaluation technologies,. Intereng Tech provides some of the most compact and convergent solutions available. Its product range is complemented by equipment lifetime services, international customer support and a large company owned in-house training site. What is our relationship to Intereng? We were contacted by Interneg to become the local representative and distributor for them n Southern Africa in July 2018. We offer local calibration in South Africa as well as support you through a local repair and calibration lab as a first line off defence to try and eliminate issues as quickly as possible. 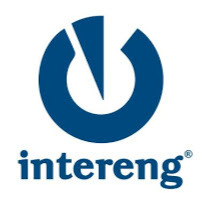 Please feel free to contact us, we would be happy to assist with further information regarding Intereng and their range of measurement and test equipment.